Donegal's 1992 All-Ireland-winning captain Anthony Molloy expects support for the county's motion that would see Dublin prevented from playing two 'Super 8s' games in Croke Park later this year. Motion 39 is the big-ticket item down for decision at Congress in Wexford this weekend and states that: "Counties who qualify for the Football Inter-County Quarter-Final Group Stage shall not be permitted to nominate Croke Park as their Home Venue." 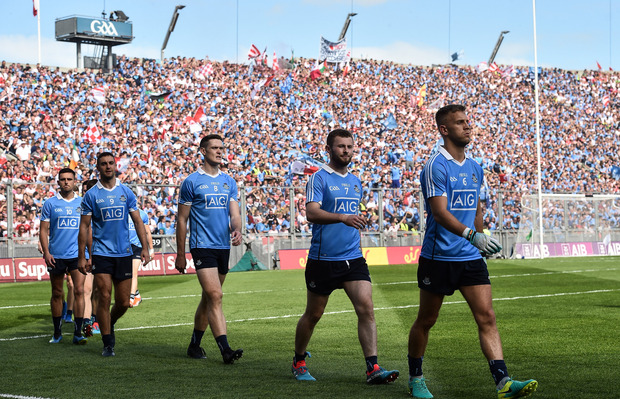 Support from one of Dublin's main rivals for Sam Maguire, Kerry, seemed lukewarm at a county board meeting earlier this week while any move out of Croke Park would hit GAA coffers hard. However, Molloy, who believes the county will get the 60pc of the vote required, insists the motion is about "being fair". And he pointed out that Donegal would "love" to have two games in Ballybofey at that stage of competition. "I would imagine (counties) would (support the motion)," said the Ardara man. "I'd imagine they'd definitely support that motion because at the end of the day it is about being fair. We came here to Croke Park last year and we had to play Dublin here. Is that fair? "That game probably should have been played at a neutral venue. "I think the third game should go to a neutral venue anyway, a home and an away and a neutral venue. "Whether they are going to look at that or not this year is another thing. But I think, to be fair, Dublin should not have two games at Croke Park. "Everybody wants to play here (in Croke Park), but it's for every county. It's just probably the fairness of it. Would we not love to have two games in Ballybofey?"